Website Optimisation (aka on-site SEO) is the process of optimising your website for maximum search engine visibility and performance. This stage of SEO is like creating the foundation for a new house. Without it, the rest of the house really won’t work very well, however, the foundation alone won’t really make a great place to live. Therefore, Website Optimisation is an important first step, but isn’t likely to have a huge improvement on your search engine performance (expect in specific cases). A detailed Website Optimisation report typically includes a number of sections which we’ve detailed below. SEO companies, like us, will present the report to you upon completion for approval. You can then pass the report onto your web developer for implementation. 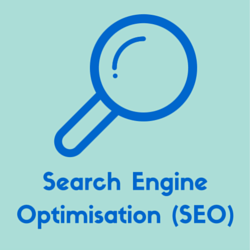 Website Optimisation is included in the first phase of our SEO Process. Keyword optimisation is the first part of your Website Optimisation report and a vital step because it helps Google and people understand what your website is about. “Keywords” are individual words or phrases (more than one word) that can be used to describe a particular product, service, subject etc. Search engines look at certain areas of a page to determine what that page is about. 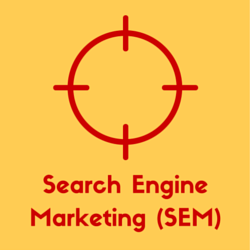 Your target keywords for each page are those that you want search engines to most strongly associate with that page. In order to properly optimise your pages, you will need the ability to change these aspects of each page. A page’s title is located in the head of the page’s HTML, marked up by <title> and </title>. These aren’t actually seen on the page but show up as the blue link in search results and as the name of the window or tab in your browser when you are on the page. More info about Page Title Optimiation. When I say ‘heading’ I’m talking about the main heading for the page. This should be marked up with <h1> & </h1> tags and appear towards the top of the page. Every page should have at least 500 words of content and it should include the target keywords for that page. Find more information in the content section below. Similar to ‘titles,’ meta descriptions don’t appear on the page itself but will often appear in the search results as the page description under the green URL, but not always. Meta descriptions won’t actually affect your rankings but they can entice a user to click through to your page when you do appear in the search results. This means you should include your target keywords for that page as well as any differentiators that will set you apart from other search results e.g. a free shipping deal. Textual content is an important part of SEO because it is the main way that search engines determine what a page is about. Every page that you want to rank should have at least a paragraph of content on it. The more content you have on a page the more keywords you have on that page and the more search queries for which you have the ability to appear in the SERPs (search engine results pages). The home page needs a paragraph of content that briefly explains the purpose of the whole site and includes the main target keywords of the site. Category pages should have a paragraph or two of content at the top, below the heading and above the products. This content section should describe what kinds of products people will find in this category and include the target keywords for this page. You can also link to subcategories, parent categories and other relevant categories from within category description. Landing pages are those pages that you want or expect people to enter your site on. All landing pages should have at least a paragraph of content on them to help search engines understand what the page is about. The content should include and reflect the target keywords for that page. Duplicate content is where the same page is available at two different URLs. Search engines will often penalise websites that have lots of duplicate content because it inflates their index unnecessarily and can confuse users. Content management systems often produce duplicate content issues. This commonly occurs on e-commerce and article sites when a product or article is included in two different categories or tags and the URLs include the category or tags e.g. Technically the www and non-www versions of a URL can have different content so search engines will consider them as different URLs which can cause duplicate content issues. I recommend option 1 or 2 or both. Option 1 is slightly better but option 2 is usually easier to implement. To solve duplicate content issues between www and non-www versions of page I recommend redirecting to your preferred version of the page and also setting your preference in Google Webmaster Tools. You should also always link to the canonical version of your URLs and encourage others who are linking to you to do the same. In order for your pages to be properly indexed by search engines they need to be easily found and crawlable. Your pages should also be accessible by humans. GWT will spot and notify you of many SEO technical issues your site has so you should make sure you check it regularly. Internal links are important for navigation by your users and crawlability and indexation by search engines. 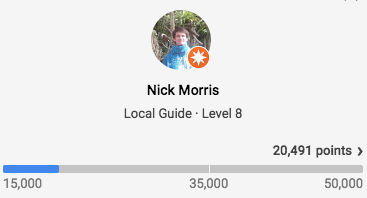 Breadcrumbs show a user the path for getting to the page they are on. e.g. This is a great way to help users and search engines to understand the structure and hierarchy of your site. If you are using breadcrumbs (I recommend you do), you should markup them using Schema.org markup for breadcrumbs (more about Schema.org in the next section) which will allow the internal links to be displayed in search results. Schema.org is an agreed format (agreed on by Google, Microsoft & Yahoo) for adding structured data to elements on web pages. Social media is becoming more and more important for SEO as the search engines are looking for additional measures of authority beyond those who have websites. It should be noted that studies have shown a correlation between social data and search engine rankings but Google has publicly said that they don’t use social information in their algorithm at this stage (as at Jan 2014). Include social sharing buttons on every page of your site (at least every page that contains interesting content). I recommend at least the Facebook ‘like’ button, Twitter’s ‘Tweet’ button and Google+’s ‘+1’ button.